A funding quest is something every business owner goes on – be it one to start a new business or to infuse new capital into an already established business. With so many different funding options available to business owners wanting to raise capital, it is important to identify various sources, be ready with industry research, diligently work towards meeting the criteria, and of course an effective business plan. When it comes to the real estate business, financing is a really big road block. To start with, you must have basic understanding of the real estate investment and lay your hands on a real estate deal that promises potential equity. Real estate business isn’t child’s play. Yes, it takes vision to get started, but business wouldn’t move without capital. 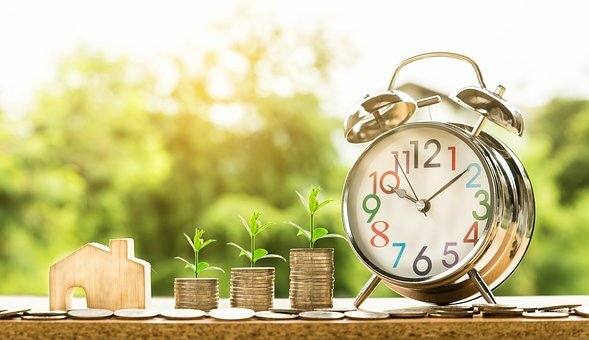 If you are thinking on how to raise capital for real estate, there are points to bear in mind before you get to acquiring finances for your business venture. You will need to have a real feel of the industry, an understanding about what’s happening around you and a good idea about your numbers. For starters, do you know what’s the ballpark amount you need? Or what is the cost to refurbish property? Got an idea what the fair market value is, great. But do you know the comparative values – let’s say, both before and after the rehab? What about the loan to value and holding costs? Do you know if mortgage works anymore? Do you have any idea where the market is going? Ok, fine, let us assume you do have the answers to all those questions at your fingertips – here is the real deal breaking question: Are you really willing to step out of your comfort zone to take a calculated risk? And if your answer is in the affirmative, there is one more question you need to ask yourself – how to raise capital for real estate. The starting point would be you – your personal funds like savings, stocks, mutual funds, etc. If you got it, you wouldn’t have to bother thinking how to raise capital for real estate. Yes, having cash in hand is the most ideal thing, but having ready finances is easier said than done. So what next? Look for private investors like friends and family. No questions asked, trust exercised. It’s the next best thing to personal funds. If you are thinking how to raise capital for real estate through non-private sources, you can get hard cash loans by paying a rate of interest that’s variable anywhere between 12 and 22%. If you have ownership of real property, you could easily get refinancing by cashing out the ownership with equity. In case you possess IRA though which investing in real estate is not allowed, you can always turn it on to a company that accepts it and get funds. Another way out when it is about how to raise capital for real estate is non-secure credit like credit cards – an option that most would consider rather adventurous and non-traditions, especially when it comes to real estate investment. However, if you’re thinking on how to raise capital for real estate, though it does sound risky – credit cards are a really tempting option, especially with some cards offering the irresistible 0% or a really low APR for short-term. Who could resist that? With the mortgage market for real estate investment being a bad scene these days, investors need to tap into other sources or be able to get into business. With real estate being a risky business to invest in for investors, bank and loans are out, so private money is the answer you are looking for. Private investors are those who are interested in making money with their capital through non-traditional markets. These “angels” could be anyone – someone you know, your banker, your attorney, like-minded individuals, or an individuals who for the love of business, seek out new opportunities to invest in return for equity ownership. These people can give you guidance for start-ups, they could improve your ideas and mould your business, but they usually demand high returns for their investments. But how do you talk to, attract and develop your group of private lenders? Here’s how. A great way to do it would be with private lending group presentations. If you have the gift of the gab, if you are passionate about doing business and if you can locate a few people with an entrepreneurial streak – you’ve got a private lending group presentation, wherein you talk about your business and lay out the details In the company of around 5 to 20 people. Who knows you might land up raising capital for real estate. If you aren’t very comfortable with public speaking, try a one-on-one meeting, wherein you get face-to-face time with an investor, let’s say a breakfast meeting at a quiet restaurant. Lay out your business idea, plan of action and sell the prospect. Remember, time is the currency. The more time you get to spend in this meeting, the more possibility of you raising capital for real estate. If your potential prospects are out of town, then sending a creditability kit by mail would be a good idea to begin a conversation. Make sure you follow up if the mail has reached or not. And ensure to do further follow ups to see if there are any questions or if there are any leads from there. And lastly, if you already have a private lender(s), you could check with them if they would be interested in raising capital for real estate. Since you already have a certain level of trust and relationship going on, raising capital for real estate may not be a difficult thing to do after all.